Have you been searching for a better way to store your bicycle? Your search is over. Life in the Bike Lane just got easier with a new bicycle storage lift by Bike Lane products. 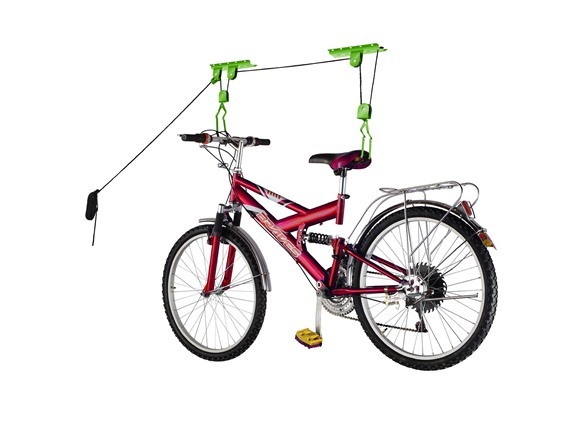 Rated for bikes up to 100 pounds, the Bike Lane Products Bicycle Storage Lift can handle even the beefiest of bikes. Compared to the competition, this easy to use bicycle storage hoist is stronger and more economical. Don't settle for second best. Hooks feature a rubber coating to protect your bicycle from scratches. Engineered to lift heavy bikes up to 100 lb capacity. 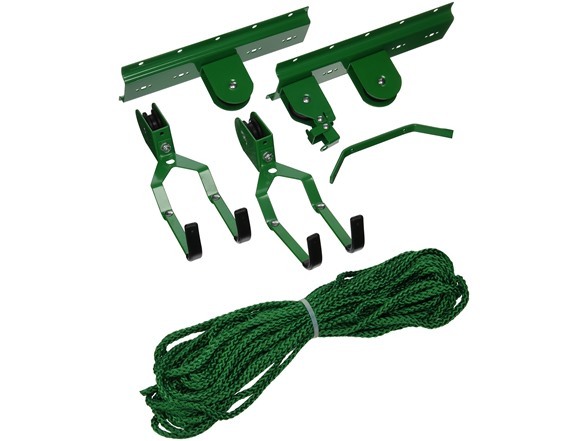 For Ceilings up to 12ft. Safety engineered locking mechanism prevents accidental release. Bike Lane Products are durable and easy to use.